The Local Government (LG) Division administers, coordinates, and allocates funds for all Local Public Agencies (LPA’s), transportation alternatives, and transit federal aid programs and projects. Local Government is the liaison between the Federal Highway Administration, LPA officials, and NDDOT divisions and districts during project development; assists local entities in getting their projects ready for the bid openings; and coordinates the Emergency Relief program on a statewide basis on behalf of the NDDOT. The Urban program works with LPA’s greater than 5,000 in population to program and allocate funds to improve transportation infrastructure on federal aid routes within those communities. The Urban Regional Program consists of the Interstate and State Highways that are located inside the urban area. Local Government, LPA’s, and NDDOT Districts work together to prioritize projects on the regional system. Urban roads are considered LPA owned roadways on the federal aid system. Local Government and the LPA’s work together to program improvements based on the available funding that is allocated to the LPA’s. LPA’s are responsible to prioritize the improvements on their system. This is an application based funding program designed to make improvements to the core business districts within the urban areas of the state. The improvements to transportation infrastructure in these areas are intended promote multimodal forms of transportation. The County program works with all the counties in ND to program and allocate funds to improve transportation infrastructure on federal aid routes or bridges that are ≥20’ (span length) within those counties. Each County has roads designated as federal aid routes which are eligible for funding and are owned by the county. The Counties allocated funds based on a formula and each county prioritizes the improvements on their federal aid system. Local Government and the Counties work together to program the available funds for improvements to their roadways. Funding is available to assist the counties with replacement or rehabilitation of bridges that are ≥20’ (span length). To receive funding, each county needs to contact Local Government and submit bridges they would like considered for funding. NDDOT provides federal and state funds to transit providers around the state. These funds supplement the cost it takes to provide transportation to the general public, elderly, disabled, low income, or others so they are able to carry out their day-to-day activities. The federal funds are administered to the state by the Federal Transit Administration (FTA) in the form of grants. Transit agencies that receive funding are required to submit for reimbursement to Local Government for eligible expenses. MPO's are mandated by 23 USC 134 and 49 USC 5303 for metropolitan areas with a population over 50,000. ND has three (3) MPO’s within the state, two of them are also part of another state (Minnesota). The MPO’s receive funds from the Federal Highway Administration (FHWA) and the Federal Transit Administration (FTA). The primary purpose of MPO’s is to provide plans and programs that consider all transportation modes and supports the metropolitan community development and social goods. Local Government works with the MPO’s in their planning efforts to provide plans and programs that consider all transportation systems and facilities, including pedestrian and bicycle facilities, and transit facilities. The Bismarck-Mandan MPO consists of the cities of Bismarck, Mandan, and Lincoln, and portions of Burleigh and Morton Counties. The Fargo-Moorhead Metropolitan Council of Governments consists of the cities of Fargo and West Fargo, ND and Moorhead and Dilworth, MN and portions of Cass County, ND and Clay County, MN. The Grand Forks-East Grand Forks MPO consists of the cities of Grand Forks, ND and East Grand Forks, MN and portions Grand Forks County, ND and East Grand Forks, MN. There are numerous special programs NDDOT oversees that provides opportunities to LPA’s to improve traditional and non-traditional transportation related infrastructure projects. These programs are intended to further improve safety, promote alternative modes of travel, improve access to recreational activities, promote economic development, and above all – improve the quality of life. Provided below are the program areas available to LPA’s Local Government oversees or is involved with, majority of the programs are application based. RTP provides funding for motorized and non-motorized recreational trails projects. This program is funded by FHWA and administered by one of NDDOT’s partners, the North Dakota Parks and Recreation Department (NDPRD). NDDOT provides funds to rehabilitate bridges considered historic within the state of ND. These structures are generally considered unique structures, whether it is based on the type of structure or perhaps the part it played in transportation history within the state. The majority of structures rehabilitated to date were at or near their original location for nearly 100 years. NDDOT works very closely with the owner of the structure (generally an LPA) and the State Historical Society of ND to preserve its’ role in transportation. If you have a structure you would like considered for this program that still operates in a transportation related role within the state, please contact the Local Government Division of the NDDOT. The SRF program provides funds to make improvements on roadways that provide access to and/or within recreational, tourist, and historical areas. Whether it is your favorite lake or park, these funds can help your trip more enjoyable. HSIP funds can be used to improve safety on any road within North Dakota. These funds are used to correct an existing safety hazard or eliminate a potential safety hazard. NDSTREET provides an opportunity for cities with less than 5,000 population that have a state highway or another federal aid roadway within their corporate boundaries to improve that roadway. Improvements are intended to improve or add multimodal transportation facilities through that community. SRED provides an opportunity for counties to upgrade an existing LPA owned federal aid eligible route for new businesses. NDDOT and the Commerce Department will review applications on an as needed basis. Please contact the Local Government Division for additional information. 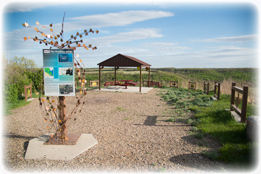 FLAP provides funding to improve roadways that access federal lands within ND. The ownership of the roadway can be federal, state, or LPA. This program is administered by Federal Highway Administration, Central Federal Lands Highway Division – (CFLHD) with participation by NDDOT – Local Government Division. NDDOT has funding available to assist LPA’s with their Transportation planning efforts. If you need assistance with creating or updating your Long Range Transportation Plan (LRTP), please contact the Local Government Division of the NDDOT. The Emergency Relief (ER) Program provides additional federal aid to the State of ND when natural disasters occur and there is substantial damage to federal aid roads or bridges located on the federal aid system within the state. The roadways can be owned by the State or an LPA, but they must be on a federal aid route to qualify and certain criteria needs to be met in order for funding to be available to the state and/or LPA. Metropolitan Planning Organizations (MPO’s), Local Public Agency (LPA’s), Transit Providers, and Tribal Governments using federal funds for Engineering, Planning, or Architectural Services are required to post an a Request For Proposal (RFP) on NDDOT’s website. MPO’s, LPA’s, Transit Providers, and Tribal governments that receive federal funds from NDDOT are required to have a Title VI Program. NDDOT has created templates to assist you in assembling your Title VI plan.